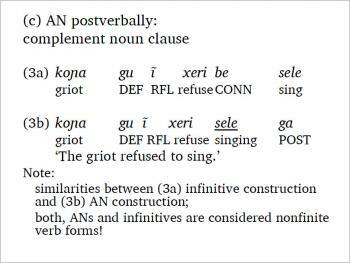 Despite the rising interest in non-finite verb forms (infinitives, participles, converbs, action nominals (AN)) among typologically oriented linguists (e.g. 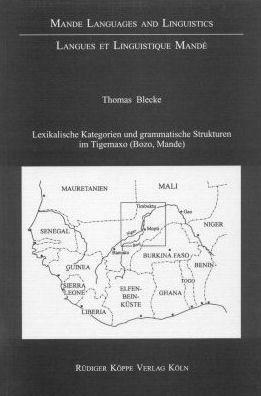 König & van der Auwera 1990, Haspelmath & König 1995, van der Auwera 1998), insights into the topic from West African languages are still scarce. 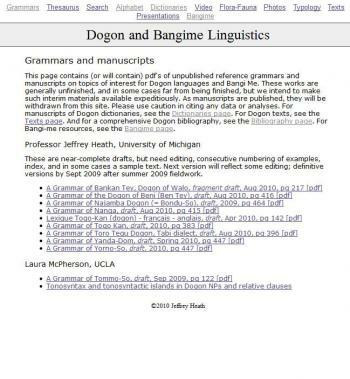 To help fill this huge gap, the present paper provides a descriptively oriented, text-corpus-based analysis of action nominals in Tigemaxo. 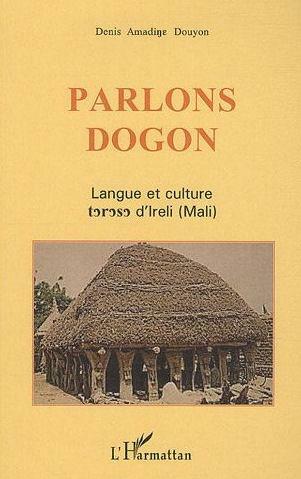 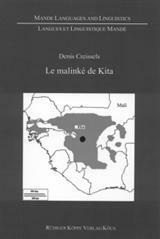 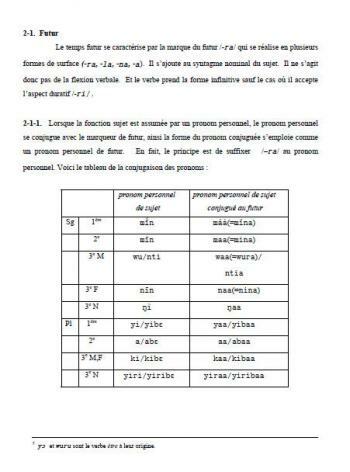 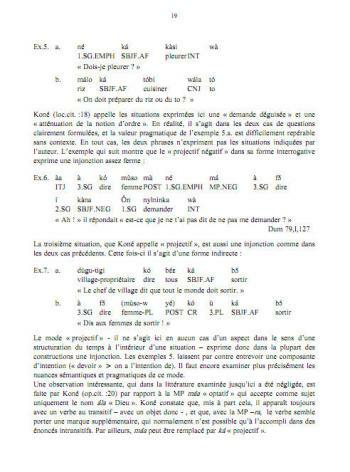 Only recently discovered by linguistic scholars, Tondi Songway Kiini (TSK) is a tonal language spoken in the small country of Mali in western Africa. 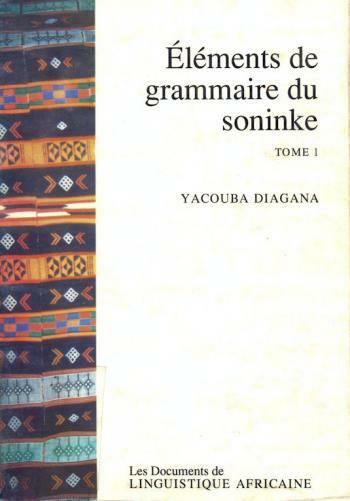 Unlike other Songhay languages, TSK preserves the lexical and grammatical tones of its proto-language and also exhibits unique systems for the expression of focalization and relativization. 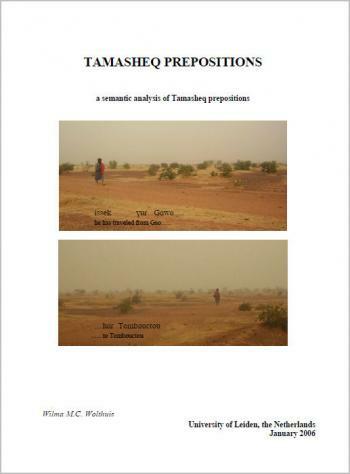 Tondi Songway Kiini is a valuable overview of the grammar of an African language with a tone system quite different from that of the more familiar Bantu system. 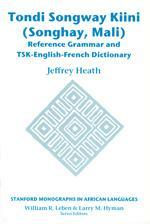 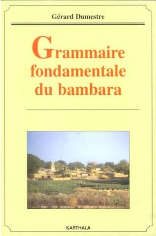 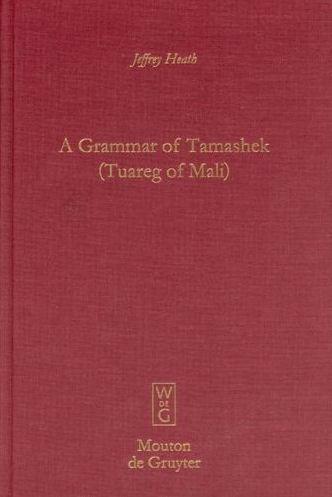 It is also an irreplaceable guide to the grammar and meanings of this unusual African language. 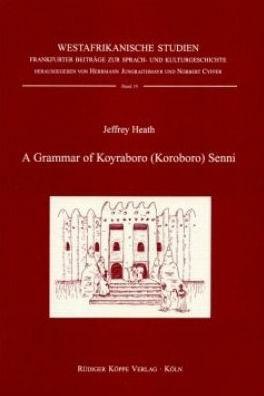 After a general introduction to the language of Koyraboro Senni, the history of the people, and the geography of the region, the grammar proceeds with an overview of the grammatical system of Koyraboro Senni. 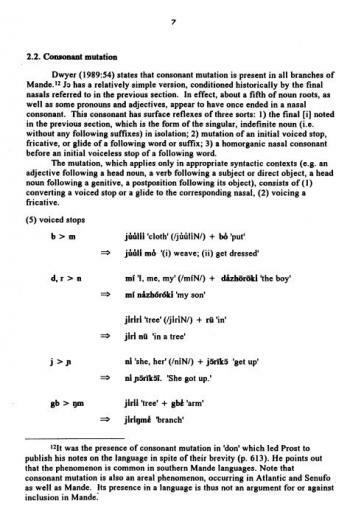 This is followed by chapters on phonology, the categorical components and the structure of noun phrases, verbal derivation, and the structure of verb phrases. 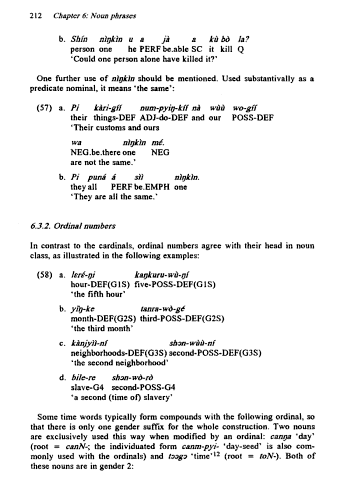 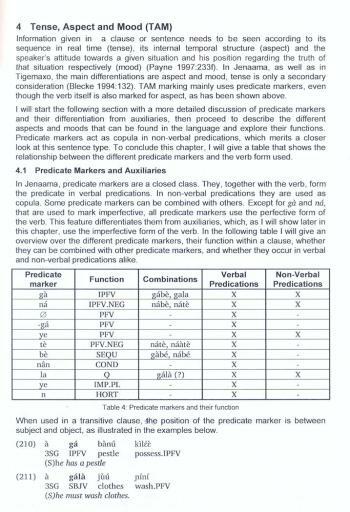 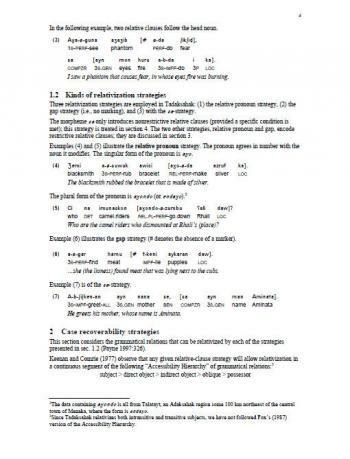 The syntax-discourse material is organized into a chapter on discourse-functional elements and their syntax, a chapter covering a range of traditional clause-level syntactic phenomena, and a final chapter focusing on anaphora.